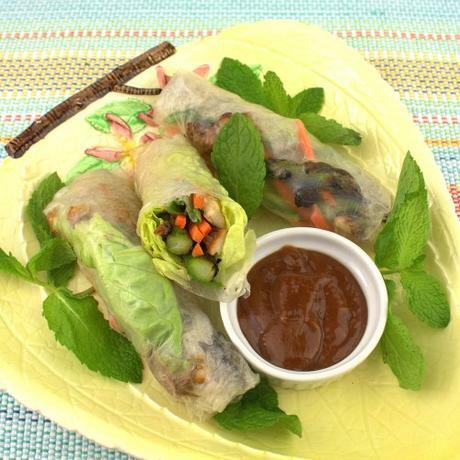 My recipe of the day, Vietnamese soft rolls with crab, I am posting as part of Fantastical Food Fight, a blogger's group hosted by Sarah Ellis, where once a month we post on a common theme. 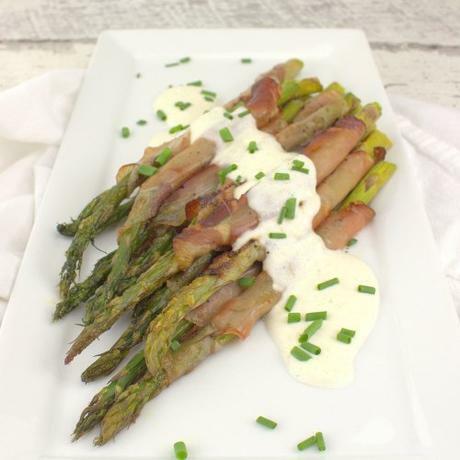 The theme for March is asparagus! 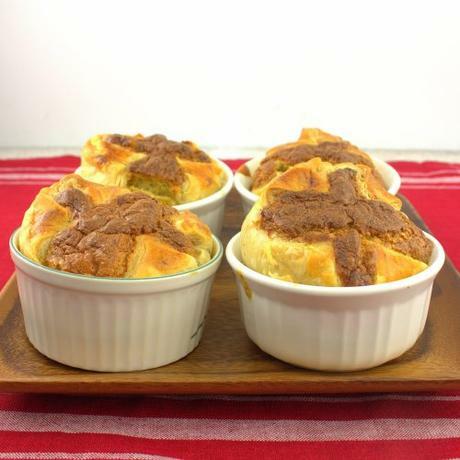 These soft rolls I originally put together about 15 years ago for a foodie contest on the old Recipezaar- Ready Set Cook. 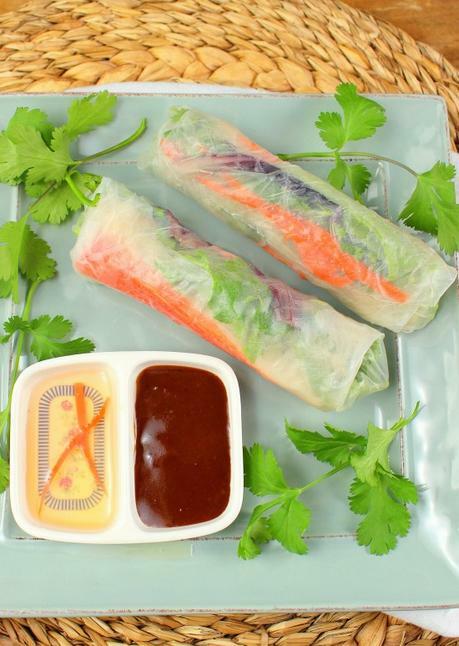 It is a variation on the typical summer rolls (or goi cuon) which place rice vermicelli and other ingredients inside a softened rice paper wrapper and roll up. 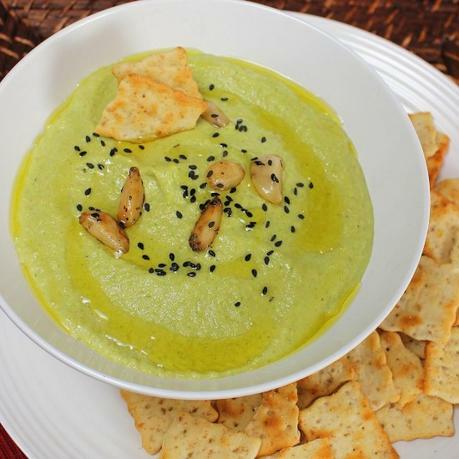 I have updated my older version ever so slightly ( an ingredients change or two plus my current formulations of the dipping sauces, hoisin, and nuoc cham, since obviously I have improved my skills since that time). Or maybe I just like these versions better now- our tastes do change over time! These are quite easy to make and can be either decadent or economical, as you can use lump crab meat or crab legs shelled, or opt to use crab stix (or surimi) which is crab flavored pollock fish. Either way tastes good. Prep the quick pickled carrot by cutting very thin matchsticks of the carrot, placing with the hit vinegar, water and ginger, and allowing to sit for an hour. 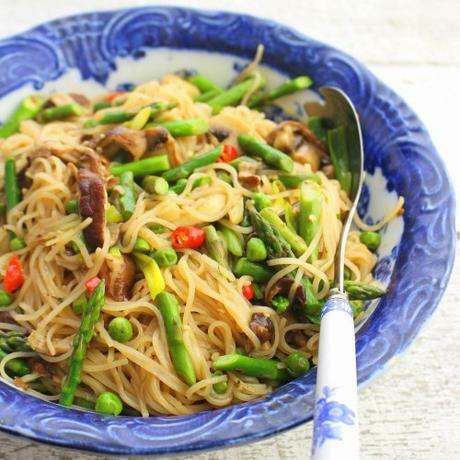 Stir together hoisin sauce and set aside. 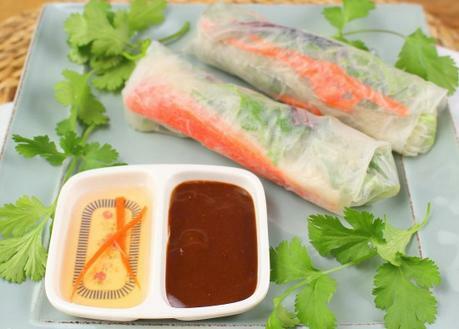 Stir together nuoc cham and set aside. Trim asparagus, cut in half and place in a small skillet with a little water. Bring to a boil, simmer three minutes, then drain and cool; set aside. Cut scallion into thin shreds and set aside. Cut crab into 8 portions and set aside. Have small piles of baby lettuce and fresh herbs at the ready. Place paper toweling on a cutting board. Fill a large enough bowl to hold the rice paper wrappers with some warm water; dip wrappers briefly into warm water (about one minutes or less) then pull out and let the water drip off. Place wet wrapper on paper toweling, pat once, then turn the paper towels over, peppel off and discard. 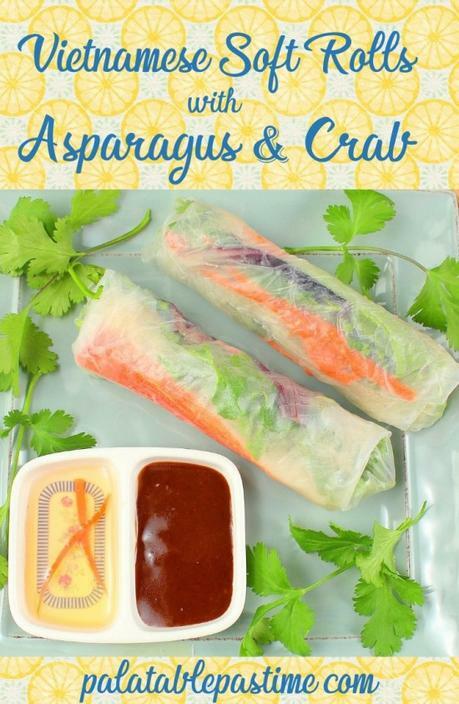 Place some of each: pickled carrots, crab, asparagus, lettuce and herbs on wrapper; roll up tightly, burrito style and continue with remaining wrappers. 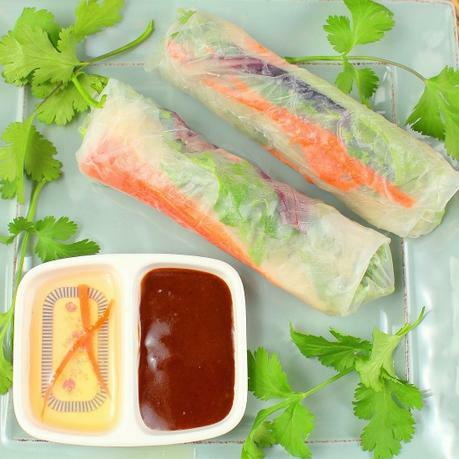 Serve rolls with hoisin and nuoc cham dipping sauces, along with sambal, if you like.